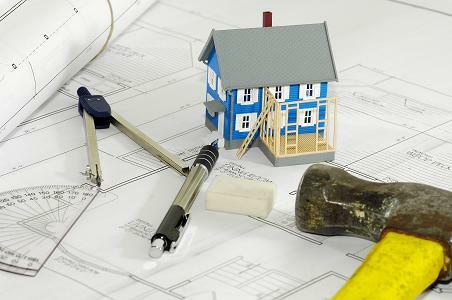 We may spend lots of time planning travel and vacation to get out of the house, but it is important to carry out home renovation projects every now and then. This ensures that your home always looks good and at the same time remains functional and safe for you and the entire family. Many people prefer to hire contractors to carry out the job but what most do not know is that with the right knowledge, anyone can carry the job even without prior experience. There are many benefits to this. Here are some of them. Since you will not be employing handymen, contractors and painters, you will be saving a lot of money in the process. Many of these contractors charge a lot of money and if you want to avoid this, the best thing to do is just carry out the project on your own. Renovating your home is not as hard as it sounds or as contractors make us believe therefore, you should not be afraid of the challenge. If possible, involve your family members too. This can be a fun event where everyone feels useful and proud of what they can contribute in the upkeep of the home. In addition, when you do it yourself, you only go for materials that you know have high quality standards. You are in charge of the whole process making it easier for you to make the right decisions. You cannot take up a project without learning something new from it. Renovating your home on your own is a great chance for you to learn something new you probably didn’t know in the past. The more you trust yourself with the different projects that need to be carried out in your home, the better you become and the more experienced you get. At first, things may be a bit hard and slower to accomplish but as you get used to it, you will become better and the results may even amaze you. Also, this will help you add a personal touch to your home. You can have things done exactly how you want them to. You also get more attached to your home when you carry out renovation projects on your own. It is very frustrating having to wait for weeks or even months for handymen and painters to become available when you need your home to be renovated. Some of the best people at this always have their hands full and you always have to book in advance. For some, you have to wait for more than 6 months to have them take up your project. This is not a job you can just trust anyone with, which makes things even more complicated. Doing it yourself avoids this time wastage. You are able to carry out the project when you want to and finish within the time you have scheduled for yourself. If you are wondering how you can be able to carry this out safely and successfully on your own, you need not anymore. Groups like rona.ca can help arm you with the best tools and tips possible to take on home renovations yourself.